Defects of Character: Helpful or Hurtful? This week’s article explores the widely accepted, rarely contemplated idea that identifying defects of character is helpful in recovery. Fault, failing, weakness, flaw, shortcoming, and inadequacy are all synonyms for the word defect. Character refers to the mental and moral qualities of an individual. Thus, the ubiquitous phrase in the recovery world defects of character implies moral and psychological flaws and failings in an individual. I will assume, perhaps incorrectly, that the idea of emphasizing defects of character arose as a method of advocating for personal growth through self-reflection. Indeed, looking at the imperfections we all have is a valuable tool for self-growth. However, the problem with the phrase defects of character is that it used to refer to natural human emotions and experiences that are unavoidable. One of the most egregious injustices extant in the helping professions is the attempt to pathologize natural human qualities. The promulgation of the defects of character idea is an example of the injustice of pathologizing our humanness. Telling someone that anger, or self-indulgence, or fear are character defects is as ridiculous as telling someone that breathing is a biological defect. As with anything, problems may arise if there is excess anger, self-indulgence, jealousy, etc. Indeed, excessive involvement with anything is likely to be problematic. Even excessive, rapid breathing can result in hyperventilation. However, there is no problem, or defect, in the experience of anger, or jealousy, or fear themselves. If we cannot help but feel angry, fearful, sad, and jealous at times, and we are told that feeling angry, fearful, sad, or jealous is a flaw and a failure, then success is essentially rendered impossible. Rather than turning natural human emotions into defects, more time could easily be spent highlighting and building on strengths. 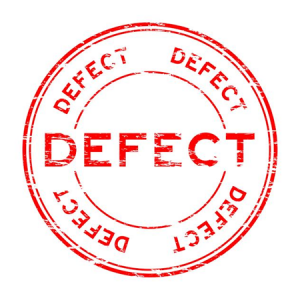 Many of the so-called defects in the recovery world are actually strengths that are misapplied. Someone who puts great effort into concealing substance use and goes to great lengths to acquire a substance is exhibiting exemplary creativity and determination. Helping people use such strengths in a way that does not result in feelings of guilt and shame is much more helpful than insisting they think of themselves as defective. It is a well-established fact that building on strengths is much more productive than correcting weaknesses. Businesses apply this principle regularly as they focus on what they do well and outsource areas that are not their strengths. People using substances in a problematic way usually already feel acutely terrible about their actions, so effective support is much more likely to be rooted in helping those people reconnect with and build upon their strengths rather than insisting they label natural and unpreventable feelings as defects of character. Ready to challenge your thinking some more? Check out our “change your thinking” section on our blog! Interested in a different kind of treatment? We build you up instead of breaking you down. Learn more about our services here!